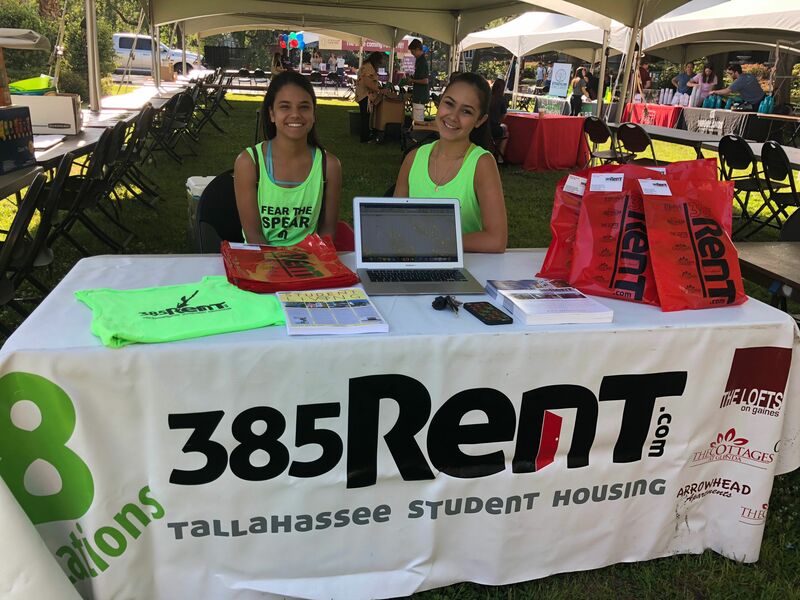 385Rent is excited to start leasing for the 2019 school year. 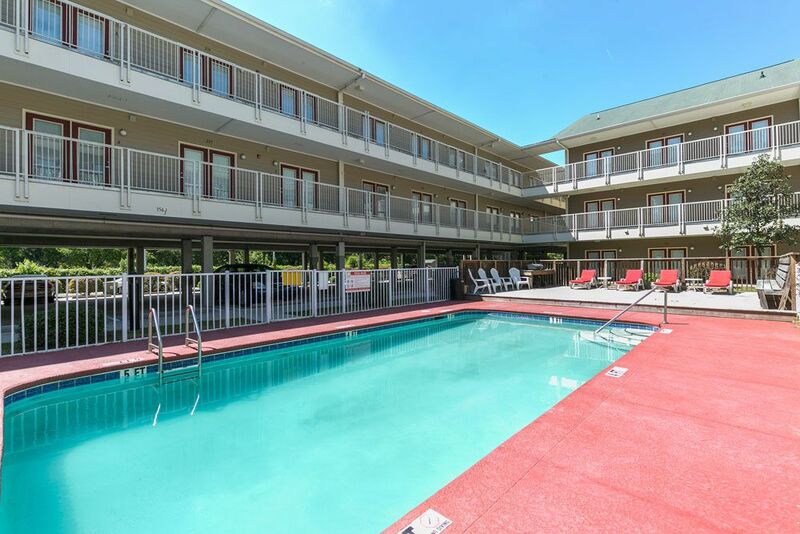 If you are interested in viewing one of our properties you can call the office at 850-385-7368 or visit our website at www.385rent.com. Also, check our THE WAREHOUSE, our newest addition to the 385RENT portfolio. Come visit our booth at the FSU Housing Fair today!! COMING SOON .... The Warehouse Apartments is a new addition to 385rent properties. 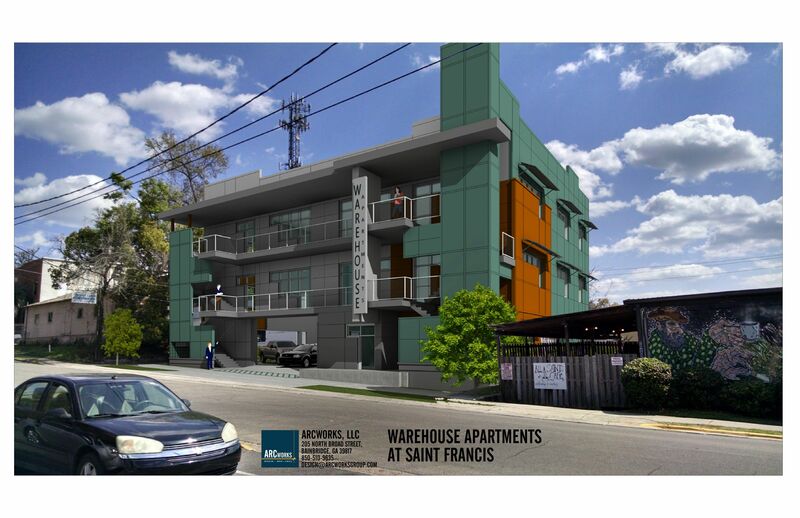 The apartment building will be located on St Francis Street in the All Saints districts. The Property will consist of 1 and 2 bedroom units geared to young professionals and students, but also is ideal for anyone who wants to experience the downtown living. Completion date is schedule for Fall 2018. Please contact our office 385rent at 850-385-7368 for more information. We will be holding a Easter Egg Hunt at each property Thursday at 11. We will go around to each property and hide the eggs that morning. There will be candy and 385rent goodies in them, as well as, one grand prize egg that will contain a MadSo gift card. If you walk outside and spot an egg be sure to grab it!! The Cottages of Glenda are spacious 2 Bedroom 2 Bath Duplex style cottages with ample closet space. Each Cottage comes with a nice sized kitchen, Full size washer and dryer in the unit, as well as, a nice little back patio for your outdoor bbq's. For more information please call our office at 850-385-7368. Would you like one of the best views of the FSU Stadium!?! Are you wanting to be in the heart of Gaines St.!?! Well, Look no further because we still have a couple units left at The Loft on Gaines. You can get a 2/2 for $1450.00 for the ENTIRE UNIT!! 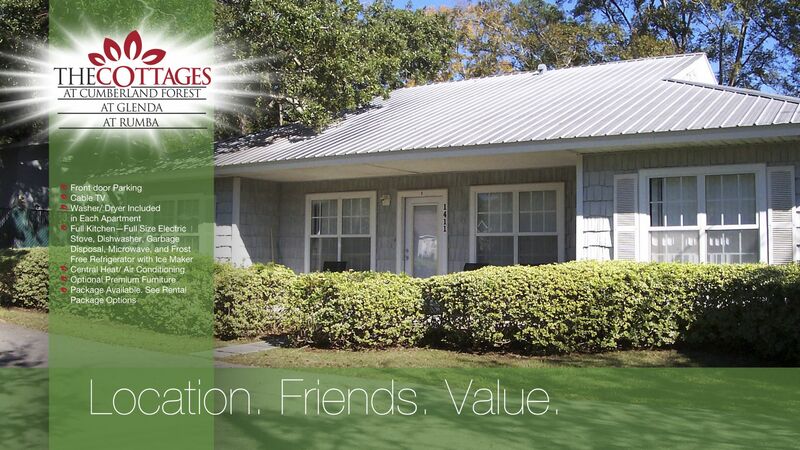 Call (850) 385-7368 to schedule a tour today! 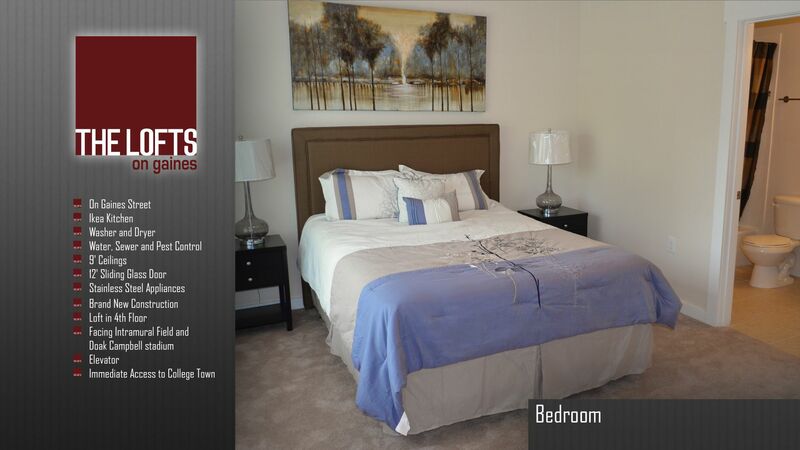 COLLEGE SQUARE APARTMENTS SUITE: AFFORDABLE & NEAR ALL TALLY CAMPUSES! 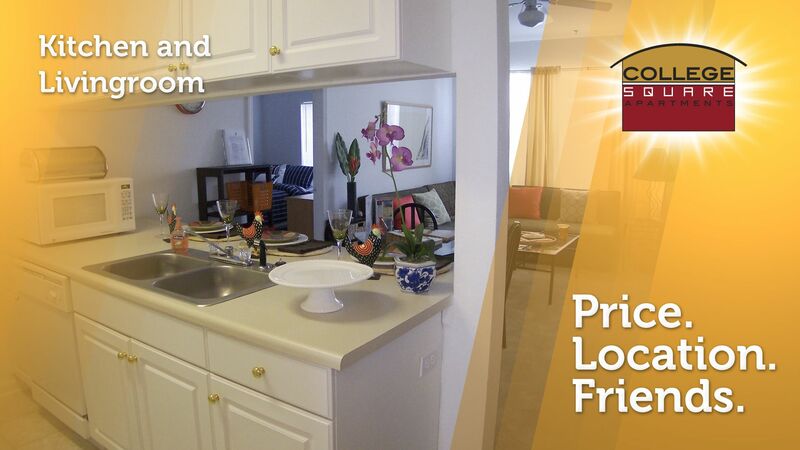 ALL INCLUSIVE AND AFFORDABLE LIVING CLOSE TO ALL CAMPUSES! 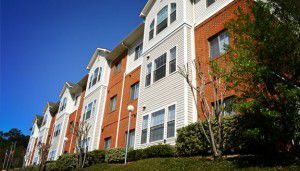 You can lease a 1/1 suite in a 4BR apartment (up to three roommates sharing the main living space) for just $329 per month unfurnished, or $399 per month furnished (includes cable TV, and internet). College Square sits between TCC and FSU on Pensacola Street; only one mile from each campus, and only two miles from FAMU. Call now for the best prices of the year! See all the great features here at this link. Call (850) 385-RENT for more information.